When placing an order, a 50% prepayment is required, the balance being due upon completion of the order, on or before furniture pickup. (5.5% Maine State sales taxes apply.) We will notify you when construction begins on your piece(s), with an approximate delivery date. 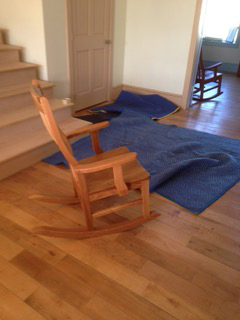 Unless your furniture ordered is an in-stock item, we cannot give refunds once construction on your furniture has begun. If your furniture is being shipped to you, we will notify you of the anticipated shipping date as completion nears so we can be ready to ship upon receipt of the balance due. Actual shipping costs will be added to your invoice. 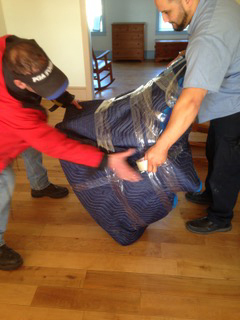 For most of our furniture items, we only recommend our blanket wrap delivery service. 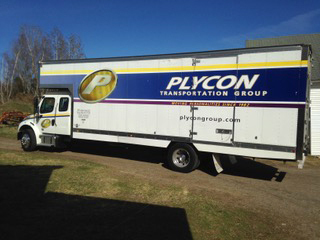 Each of your pieces ordered are carefully and professionally blanket wrapped and delivered to your home or business by Plycon Transportation Group, a renowned fine art and antique mover. Where assembly is required, such as a bed frame or table, this is also done by Plycon personnel at no extra charge, and placed in your desired location. You’ll be pleased and impressed with this “white glove service”, well worth the added cost. Please note that since I’m a one man shop, your patience in receiving your order is greatly appreciated! Orders are filled in the order they are received, so order early. 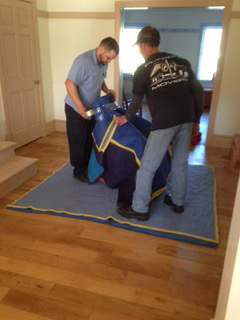 I sometimes have a six month backlog, but will do my best to complete your furniture in a timely manner. I personally guarantee your satisfaction and the durability of my furniture. If at any time your furniture purchased from me needs repair, return it to my shop, and I will fix it at no cost. You only need to get it here and pick it up when the work is completed.